the leader of a Branch Davidian religious sect, believing himself to be its final prophet. A 1993 raid by the U.S. Bureau of Alcohol, Tobacco, Firearms and Explosives and subsequent siege by the FBI ended with the burning of the Branch Davidian ranch. 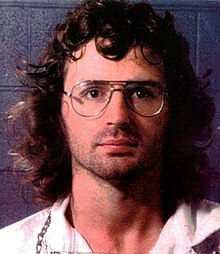 Koresh, 54 adults and 21 children were found dead after the fire, though the time of death is in dispute.